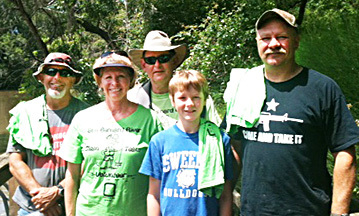 Friends of the River San Bernard would like to thank all of the volunteers who helped with the annual spring River Cleanup on Saturday, May 11. 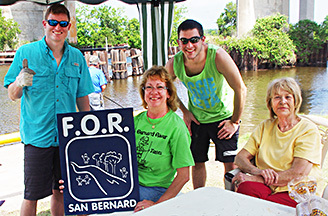 It was a great team effort and continues FOR’s mission to protect and conserve the San Bernard River. 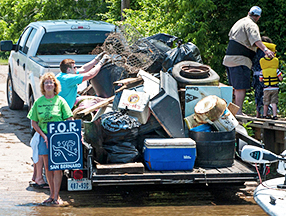 < Trash is loaded onto a trailer at the FM 521 boat ramp to be taken to a dumpster at the Churchill Bridge boat ramp. Trash from all the collection sites completely filled a huge dumpster. 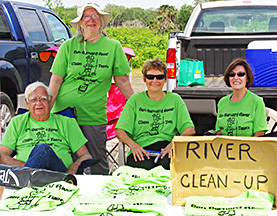 Read the article in THE FACTS about the River Cleanup. Awesome turn out. 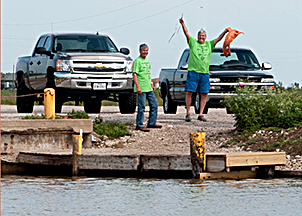 Great pictures. More trash than I would have imagined. Good job everyone!